Suburban Car and Truck Repair was established in 1975 and remains in its original east side Cleveland location. Our facility has expanded to 20,000 square feet and currently employs 19 people. President Mike Brickman, Vice President Paul Bellitto, and Service writers Tim and Bill have been in the automotive repair business for over 38 years. The corporate office personnel also include Jackie Brickman, General Manager and Kim Novak, Customer Service. This unified team of individuals is available to assist you with all of your consumer needs. Throughout the years, we have strived to keep our shop, staff, and our equipment current with the times. Our technicians are factory trained and ASE Certified with over 325 years of combined experience. 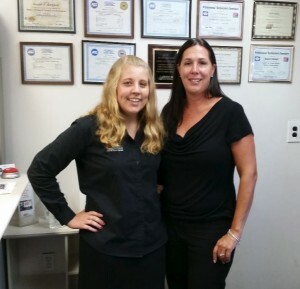 Our entire staff regularly attends training classes to further their education about your automobile. Our extensive skills, experience, and continued training enables us to provide you with the excellence in service you deserve. We are one of the very elite garages listed as a “AAA Top Shop” for the last 9 years, and have been an A+ member of the Better Business Bureau for over 25 years. Our family is looking forward to working with yours — call Paul, Tim or Bill to schedule an appointment today! “It was not long ago when I first experienced the quality workmanship that is provided by Suburban Car & Truck Repair. Pleased with the overall experience, the good word had quickly multiplied throughout my staff at The Plumbing Source. Besides your quality work, the convenience of picking up and delivering our vehicles by end of business day has truly been exceptional customer service. As a small business owner, I share in your conviction to deliver quality workmanship and consistent satisfaction. ... Cleveland, Cleveland Heights, Maple Heights, Bedford, Bedford Heights, Warrensville Heights, Garfield Heights, Solon, Beachwood, Shaker Heights, Valley View, Brooklyn Heights, and surrounding communities. We are committed to exceeding our customers' expectations by providing the best possible service in a timely manner and at a competitive price. In addition, we are dedicated to conducting business with the highest level of honesty and integrity that our customers expect and deserve. We achieve this by training our associates to work as an efficient, knowledgeable team, committed to excellence in service. Suburban Car and Truck Repair is your one-stop shop for all your all your fleet vehicles: cars or light, medium, and heavy-duty trucks, up to Class A. Call Paul, Bob, or Tim at 216-662-2102 and make an appointment today!